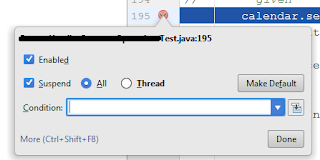 Some time ago I had a situation where I had to use JVisualVM to check what happens within a test executed from IntelliJ and stopped on a breakpoint. 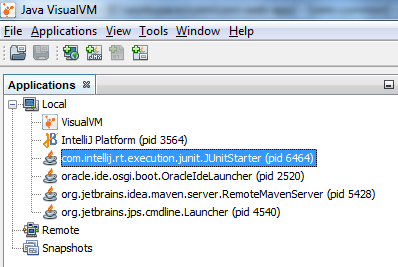 JVisualVM had been hanging until I released the breakpoint. But why? and everything became obvious. JVM exposes the interface for the diagnostic tools and the interface is handled by JVM internal threads which were suspended (Suspend -> All) according to the breakpoint definition. 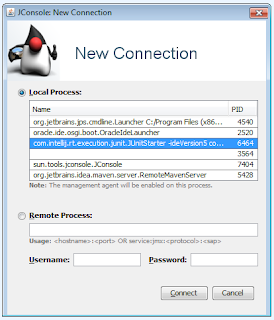 The solution was to select Suspend->Thread and mentioned diagnostic tools were able to connect to the JVM in which the test was being executed.